Last edited by gabrielb on Wed Aug 22, 2018 10:19 pm, edited 1 time in total. Thanks for the update. Looks great! Glad you noticed. I thought I looked comical too. Ryan wrote: Thanks for the update. Looks great! Smooth. Stalled until you could see the ocean from the parking lot. Word from the first shift was it was “fun”. Slightly smaller than yesterday, but clean and open. Lots to choose from. Enjoyed waves from Incinerator Rock down to lot 4 and back again. Some nice medium size clean rights at peak above lot 5. Not the biggest conditions of the trip, but definitely super fun! Solo. Slow in getting going. Jesse, Dunkinguy and others looked, but only I took the bait. Enough wind to move the 6.1/115 around (almost planing at times on the way out) but limited wave. Lots of single hit waves (beach break into a foot of water), some two-hit, and one nice real wave that offered up three hits (big smile). No walking up the beach, all riding. 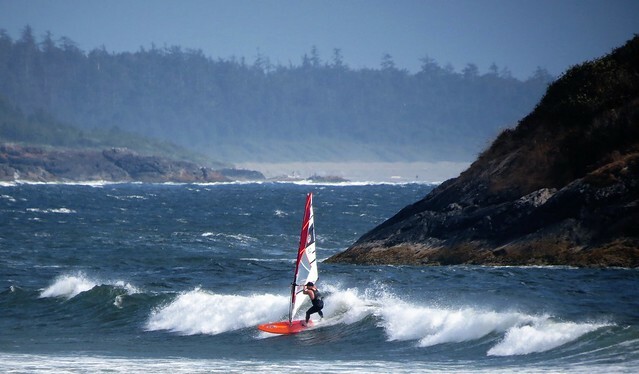 Even tried something new (for me): dropped in, bottom turn and top turn all clew first (didn't want to loose the wave by rotating the sail), After six SUP sessions in a row at Long Beach it was nice to mix it up a little and add something new to the diet (mini-DTL windsurfing at South Chesterman). Sun, wind, mini-waves, not smoke and warm water. Not epic, but for August I’ll gladly take it. Last edited by C36 on Thu Aug 23, 2018 7:35 pm, edited 1 time in total. Last. Broke camp and headed for Long Beach. Surprised to find onshore wind had stirred things up. But by the time I ate breakfast, flew trainer kite, edited some pictures and did some housekeeping the wind backed it looked to be cleaning up. Glad I went out. Yet another really easy-pesy fun session. Everything was working and up for grabs except just above Lufkin at Lot 3 (waves didn`t seem to have enough power today to be breaking in the deeper high tide water). SouthCarolinaJohn, Mario and TheLaw were out and shadowed TheLaw right on one party wave. Too bad the phantom NW wind forecast didn`t show up on the high tide – oh what could have been. See you next time! Check. 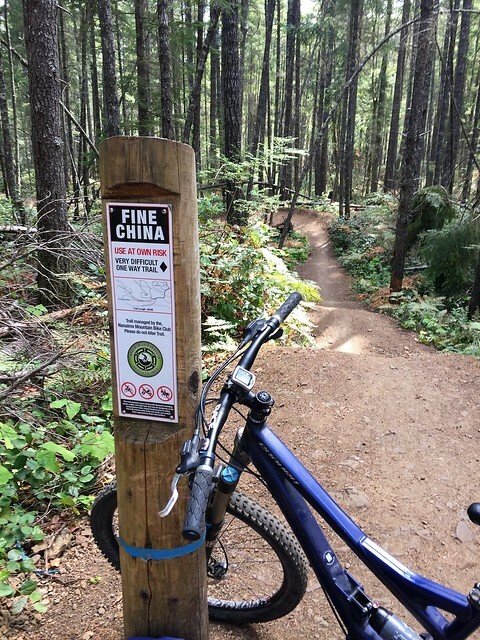 Quick ride at Doumont (Fine China and Finer China) to check corrective setting on rear shock – glad that the `po-go` when climbing has been eliminated. Felt warm on the eastside. Punchy. 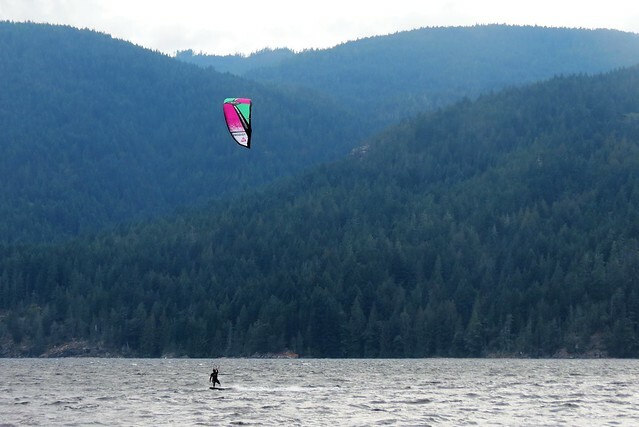 Arrived about 4:30 pm to find Salmon derby on, campground packed and 8 and 9 meter kites out. Fisherman in the next site mentioned it had been blowing since 10 am and he had borrowed some plywood and had created a wind skirt for his RV like he was homesteading in PSC. It looked gusty and needed some float to get to the wind, but some solid wind further out. Settled on 4.5/115 and it worked well at first in the stop/start conditions. Then need some more power so grabbed the 5.3. Fun to get out but it was a little unsettled – full cloud at first (no glare), then the marine layer pulled back and the sun poked out (some glare), but that only seemed to confuse the wind. The direction seemed to be coming off the far shore which made it hard to take advantage of the nice shaped chop in the channel. The fishing boats pulling downriggers make me a little uneasy. Eagles chirping. Dinner amongst the Arbutus trees. Best ever (south of Lovekin). You know those spots that look great from the beach and then when you get out on the water you just can’t wait to get back on the beach? That is what south of Lovekin has been for me (small sample size of three before today – the first being so bad it was long time before I tired again). 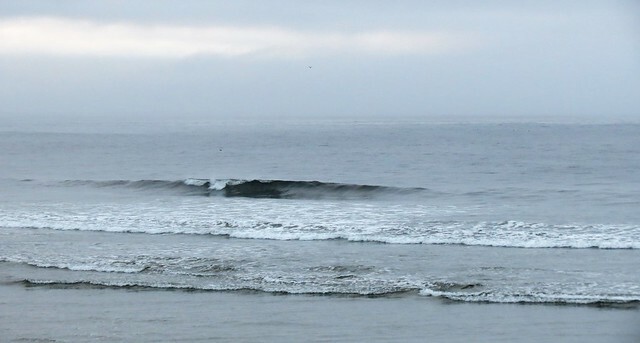 Usually it looks nice and clean on low tide, but by the time I get out there the tide has come up just enough to create nasty conditions including shore pound, churn, roll, round hard to catch waves, and current too. Well today what is usually the mirage came true. After quick surf-checks at Wick, Green Point and Incinerator Rock found nice clean playful waves (both rights and lefts) south of Lovekin. Lots of choice, high capture rate, fun rewards. Pretty easy getting out as well. Most on longboards and SUP’s but one mall and an instructor from Relic doing a semi-private killing it on a shortboard. That was my best session ever (south of Lovekin)! Just. After humming and hawing finally rigged SUP for an afternoon sail only to see Redbaron already out as I walked my gear to the water (didn’t even know he was there). Fun to have company. Lost some. Caught some. Just enough wind to make it work, at times. Lots of bodies in the water so caution was required and tired my best to stay upwind or out of the way of most, but managed to block Mrs BFD from dropping into one nice wave – sorry about that. Wind backed and grabbed the paddle and accidentally joined Moo and BFD (who were both tummy surfing) when they noticed my ‘downward dog’ (missed grabbing my handle when changing hands on power stoke and came close to pounding my head into the deck of my board – silly me). Catching waves with friends was a great way to end the day! Bonus! Brought to you by the number three. Three days into the trip. Three days Tony and my paths crossed. Three sessions shared together. Three of us out sailing (at first). Three more joined in (and a fourth tired). Three kites dropped. Decided to arrive early at Incinerator Rock this morning and homestead (stay the whole day). Was feeling regret for not jumping on the early morning SUP but in hindsight was happy to have some extra energy to burn in the afternoon. Wind was light at first and hardly any waves, then wind filled in and Jesse and Nanmoo joined in. Waves built and there was enough power to jump on the inside, at times (fun trading jumps with Jesse on one run out). More waves grabbed than lost today. Lots of fun rides with multiple hits. Tried to keep to the outside of the reform to avoid the people playing inside made for good practice gybing on the fly. Stayed clear of the bait ball on the outside. Wind got spooky and then filled in again and then got spooky light for real. Glad Moo escaped the clutches of Lovekin. Unusual weather set up (opposite) – cloud to the north and sun to the south (and marine layer beyond) and even a few drops of rain in the air. Today was the bonus round! Mr and Mrs BFD closed down the shop surfing after the wind backed. Last edited by C36 on Sat Sep 08, 2018 8:25 am, edited 1 time in total. Dawn Patrol. On the water before 7 am and it was smaller than yesterday and modest but glassy. JS and Mario were off to SUP Cox Bay, but I was in the mood for something mellow, so this was just fine with me. Lingered on the outgoing tide to share some time with Jay Browner before heading in for French Toast for brunch. Got my hedge session in and headed into town to run a few errands. School starts tomorrow. Funny how that phrase causes me to wince even now. 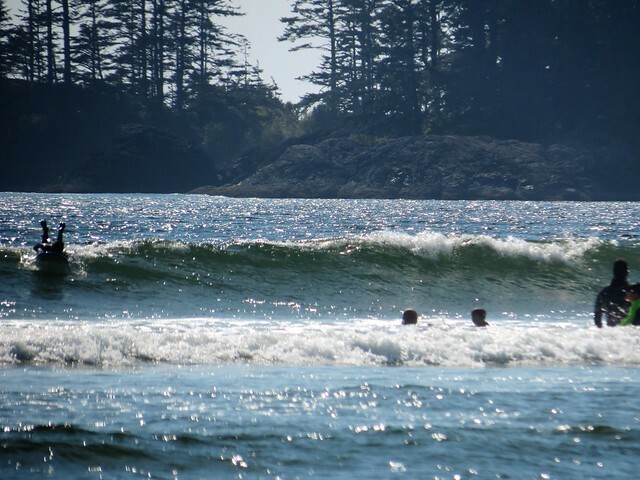 Surf-checks at North Chesterman (flat), South Chesterman (flat), Cox Bay (4-6 rows of whitewater and two rows of mackers flattening even skilled surfers – looked like a lot of work and little reward), Long Beach (similar to this morning – modest), Wickaninnish (good, but pretty unsettled), and Florencia (modest, but clean and organized). Ran into an old friend teaching his son to surf and decided to stay there (for the second time ever). Little did I know that the Ukee Dogz were testing out a secret DaveStorm prototype! I accidentally (on purpose) photo bombed the photoshoot and got an unauthorized photo of the new missile! 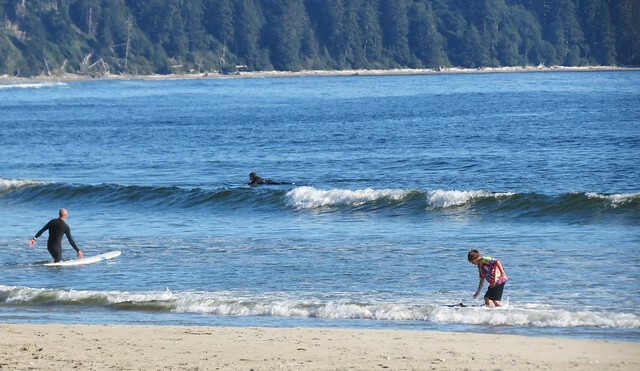 Lots of waves and more smiles shared with the Ukee posse (10 in all). Great to see all the good folk from Ukee making the absolute best use of the last day of summer before school started. Super fun way to end the day and cap the weekend of many shared sessions! Bitter sweet as it did really feel like one of the last magical warm moments of summer twilight (including the jumping salmon). 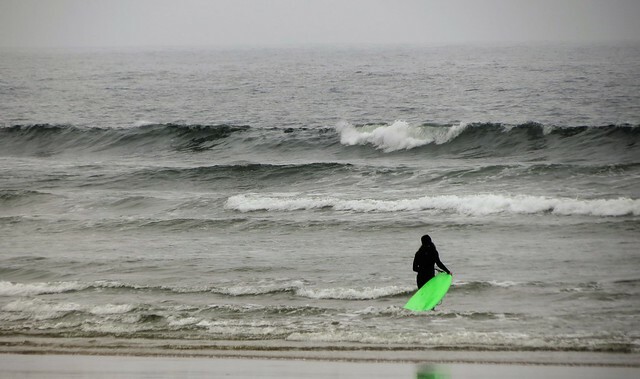 I finally get what my longboarding co-worker has been going on about ‘how fun Flo can be’ (with a mellow clean longboard wave on a high tide) – not what I had been watching for but great to experience. Goldie Locks. Broke camp, ate my breakfast atop Incinerator Rock and pondered the waves on offer. They were modest (again) but playful on the slack high tide. But my gut was telling me I should at least go up a check Cox Bay first. As I walked to the beach for a look-see I took an informal poll of the surfers walking up from the water: the results were mixed – one said “good”, one said “OK”, and one said “megh”. But I liked what I saw: limited white water, clean lines and lots of shoulders. Second walk out (with my gear this time) one longboarder said, “It’s good and getting even better, so long as the wind holds off.” Easy paddle out and paddled right into my first wave. Lots to choose from, nice range of size and even a few “tall” ones (not shown in the pictures). Some felt a little soft, but had just enough shape to catch and ride. On the slack high-tide they stood tall and open for three to five rows on the outside at times. This made getting out easy too (except the time I paddled out against the peak with a heavy set rolling in). 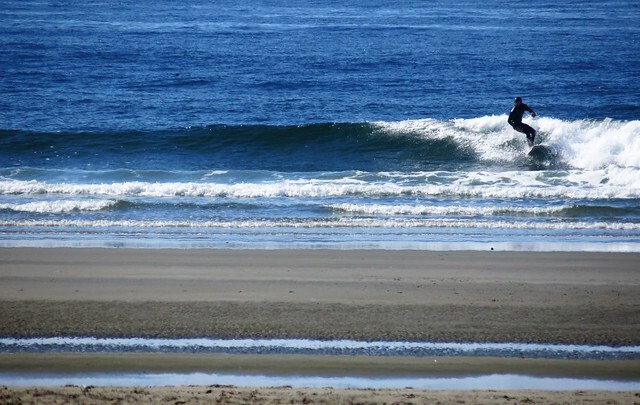 This was a Goldie Locks session at Cox Bay – it was ‘just right’ (for me). 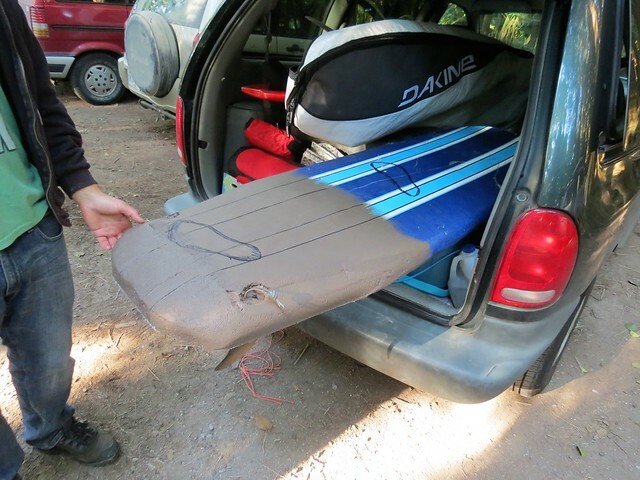 Eight sessions (4 SUP, 2 windsurf, 1 SUP-Sail, 1 mountain bike) in five days brings the trip to close. Nice variety and the trip as a whole was more fun than expected!